Ottima posizione nella città. Lo staff amichevole e la pulizia del posto lo rendono un ottima alternativa agli hotels. 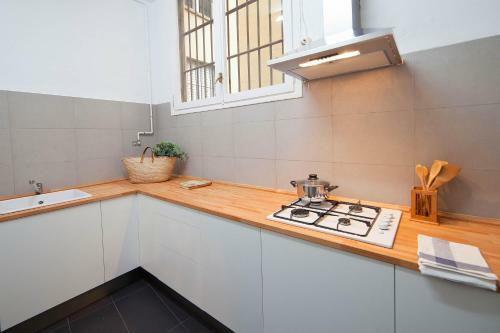 Situato di fronte a un ponte che attraversa il fiume Oñar, nel centro storico di Girona, il moderno bed & breakfast Room In Girona offre camere private e dormitori, la connessione Wi-Fi gratuita e una cucina in comune. Tutti gli alloggi sono riscaldati e dotati di arredi semplici ed eleganti, armadio e bagno privato con doccia o accesso a un bagno in comune. 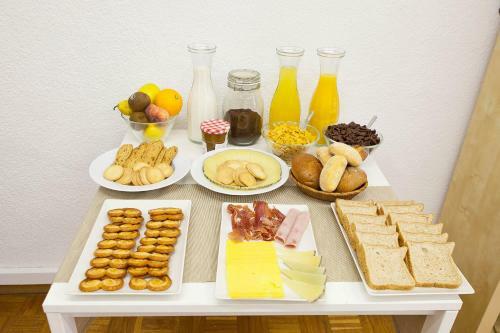 Potrete iniziare la giornata consumando una prima colazione a buffet. 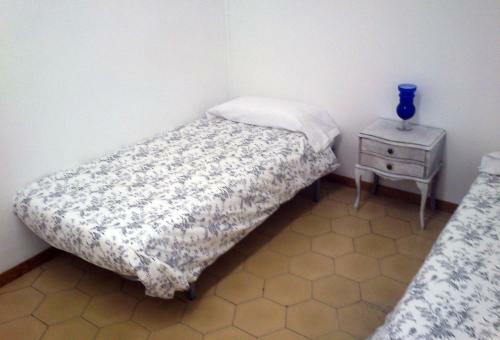 A vostra disposizione al B&B Room in Girona anche una cucina in comune con piano cottura. 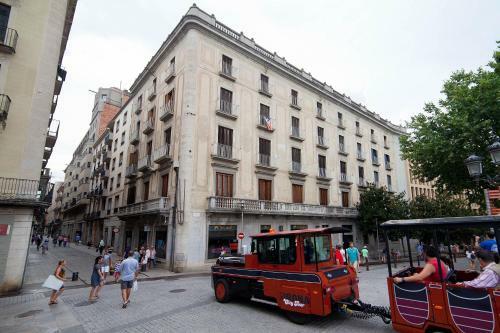 Il Room in Girona si trova lungo la via dello shopping principale di Girona, a 10 minuti di cammino dalla stazione ferroviaria della città e a 350 metri da Plaza de la Independencia, contraddistinta da molteplici bar e ristoranti. Bra läge!!! Billigt boende om du bara stannar över en natt. Dåligt ljudisolerat, lite klen frukost. El dueño muy amable, nos ayudó con las maletas, recomendó sitios para ver y salir. Habitación espaciosa y baños y cocina limpios. El acceso a la calle es algo complicado pues al estar céntrico tiene las calles prohibidas. La puerta de la habitación hacía bastante ruido con lo que podías molestar al resto de la gente. Los encargados son amables y la ubicacion. raam kamer gaf uit op de trappenhal. Zeer gehorige kamers. 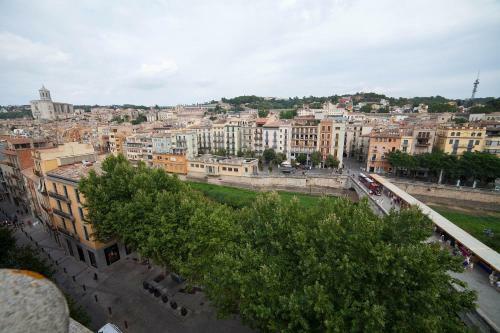 I loved my stay in Room in Girona! It is a nice, clean place with lots of light and a nice view to one of the streets from the living room's balcony. The beds (I was sleeping in a room for 4 people) are really huge and comfortable. I had some minor problems with wi-fi connection, but the guys restarted the router and it was mostly fixed. Sometimes the wi-fi in the living rooms does not work for some devices with a not-so-strong wi-fi antenna. You may want to move a bit to the reception and then you will be fine. Un excelente fin de semana en familia en Girona! 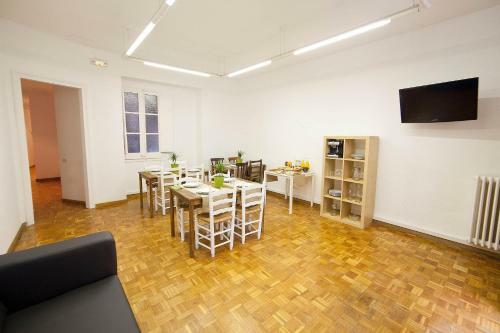 El Room In Girona tiene una muy buena ubicación y el personal que lo lleva es muy amable. 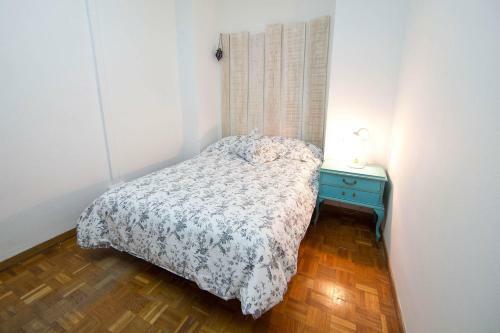 Las habitaciones y la limpieza del local eran perfectas. 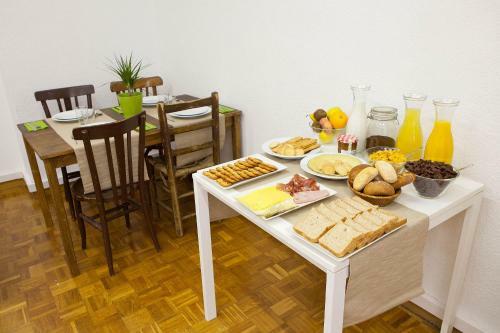 l acceuil tres sympatique.La propreté,la disponibilité,le dej copieux et à volonté.Tout étais parfait.Venez 1fois et ça va vous surprendre?les 2fois et ç'est parreille.Merçi encore et à bientot. La atención muy buena por parte de los propietarios, siempre dispuestos a asistir a los huéspedes. Por otro lado, permanentemente verificaban el correcto orden y limpieza del lugar. Claen, Extremely well located. parking with meters, cheap, real close. Das Hotel ist zentral gelegen, alle Sehenswürdigkeiten und auch Geschäfte sind gut zu erreichen. 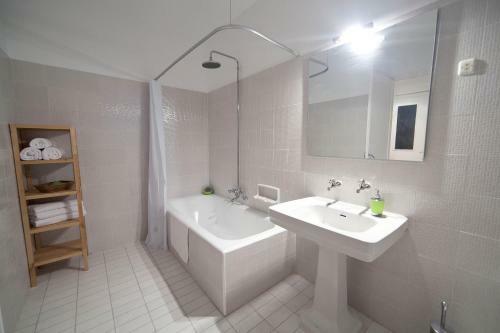 Die Zimmer sind minimalistisch ausgestattet, verfügen über kein Badezimmer! 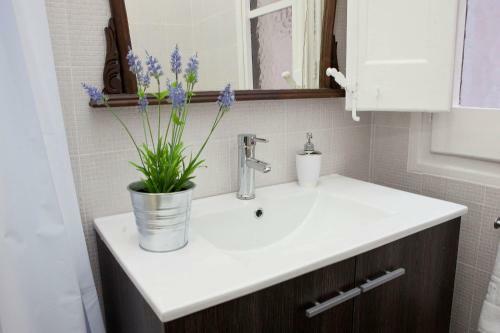 und sowohl Zimmer als auch Badezimmer sind nicht sauber und unhygienisch! Die tolle Aussicht, die angeboten wird, ist von keinem Zimmer aus zu sehen! Die Stadt Gerona ist schön. Die Betten waren OK.
Angaben zum Hotel bei der Buchung die NICHT stimmten: 1. Öffentliche Parkplätze stehen kostenfrei in der Nähe (Reservierung ist nicht möglich) zur Verfügung. => weil wir kleine Kinder haben, haben wir deshalb im naheliegenden Parkhaus über die Nacht (von 23 Uhr bis 10 Uhr) geparkt. Dies war echt teuer: 22 euro. Unter dem Strich also zu teuer für Familien mit kleinkindern auf der Durchreise 2. Dieses Vierbettzimmer verfügt über einen Balkon und einen Sitzbereich. => Weder Balkon noch Sitzbereich waren beim Zimmer. Es gibt aber einen Gemeinschaftlichen Sitzbereich mit Blick auf die Strasse. Was noch schlecht war: -Es wurde gebeten selber sein Geschitt zu spülen. Dies hätte zumindest bei der Buchung angegeben werden sollen. -Es gab keinen Wasserkocher. -das Brot zum Frühstück war steinhart. Das Personal wollte uns dann Brot aus dem Gefrierer geben. Wir haben daraufhin auf frisches Brot bestanden. Das Personal hat dies schnell eingesehen und umgehend gutes Brot von Bäcker besorgt. 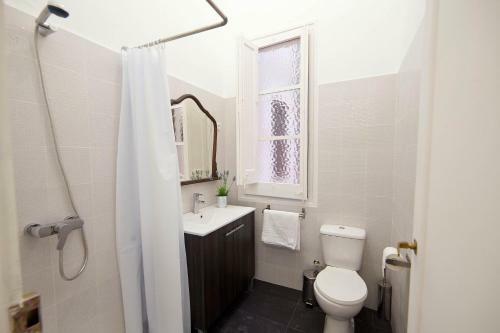 CABINET DE TOILETTE AU BOUT DU COULOIR AINSI QUE LES WC...EN COMMUN AVEC D' autres chambres AUCUNE DECORATION AU MUR / CHAMBRE TRISTE ET LIT INCONFORTABLE++ RIEN POUR POSER SES AFFAIRES PAS DE CHAISES .. VRAIMENT TRES SPARTIATES !!!! 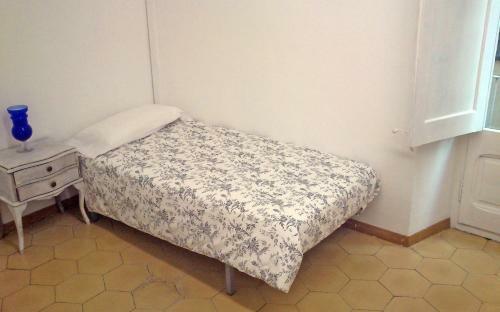 Large, spacious room, Clean Excellent location. Great hostel with extremely friendly and helpful staff. It was clean and comfortable. 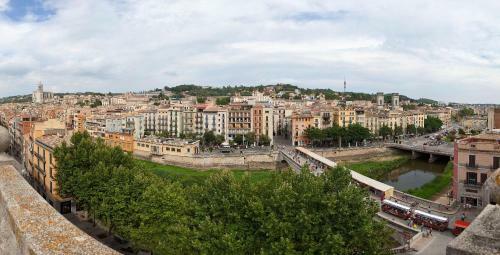 It was a great experience at the heart of Girona. Nice place, comfortable room and excellent care by the owners. I will definitely recommend it! Henkilökunta todella mukavaa ja ystävällistä. Tilavat huoneet ja jaetussakin huoneessa isot sängyt. Sijainti on täydellinen. 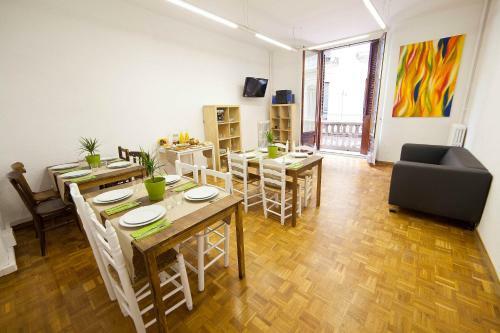 Good price for money, cheap and excellent location in the heart of the old town. 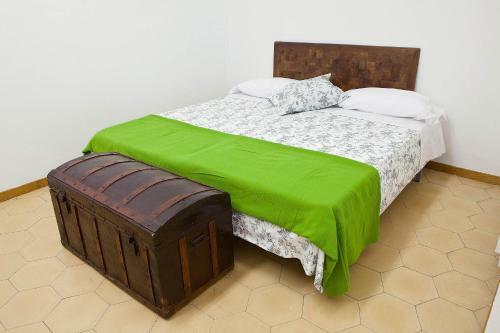 Don't expect luxury at this price, but rooms are clean with basic essential furniture, we had a nice comfortable double bed and owners are nice. I can certainly recommend, would stay there again if back in Girona in the future. Muy bien situado. Personal excelente. 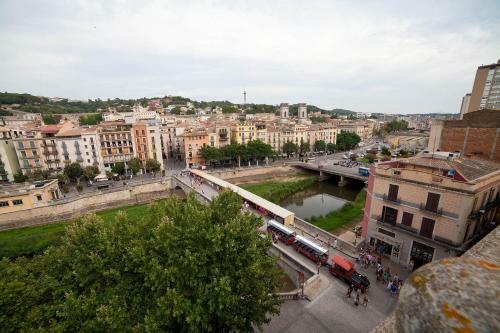 Great hostel in the heart of magic town of Girona near the stone bridge over the river!